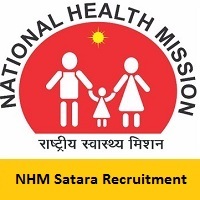 The higher authorities of National Health Mission Satara had invited the offline application of NHM Satara Recruitment 2018 of Pediatrician, Staff Nurse, DEIC Optometrist, Medical Officer (Male/ Female), Medical Officer, Sister In-charge, Psychiatrist, Dental Hygienist, Special General Physician, Nephrologist, Cardiologist, Anesthetist, OBGY Gynecologist, Physician, Surgeon posts. The board officials are searching to hire the suitable and capable candidates for the given 90 vacancies. Interested applicants can apply for the National Health Mission Satara Advertisement 2018 form 28th November 2018 to 5th December 2018. Check the below sections to get more info of zpsatara.gov.in Jobs 2018 such as educational qualification, age limit, selection process, post-wise vacancies along with their count, salary details, important dates, and set of instructions to apply for NHM Satara Recruitment 2018. Check the below table to get details of education qualification before applying for the NHM Satara Recruitment 2018. Staff Nurse DCH / MD Ped. Candidates who gad got elected in the NHM Satara Recruitment 2018, they will get pay scale as per the rules and regulations of the National Health Mission Satara Organization. Applicants can check the official notification for salary details. Candidates have to refer the official notification for fee details. First of all, candidates need to visit the official site of the National Health Mission Satara that is zpsatara.gov.in. In that go to the Advertisements section which is at top of the home page. Search for the flashing link of NHM Satara Recruitment 2018. Download the NHM Satara Recruitment 2018 Notification. Read the entire details in the NHM Satara Recruitment 2018 Notification. If you are eligible, then take the print out of NHM Satara Recruitment 2018 Application Form. Fill the details in the NHM Satara Recruitment 2018 Application For correctly. Send it to the following address along with the documents. Here in this entire article, we had arranged the complete and genuine details regarding the NHM Satara Recruitment 2018. Candidates ca bookmark our site that is Sarkari Naukri by clicking the Ctrl+D. And can also share this information with their friends also. Get the info such as the latest recruitment notifications of state and central government jobs, admit cards, results, syllabus, previous papers. If any of the applicants have doubts they can leave us a comment in the below decision box. Thank You.